Below are shows I’ve done design & animation work for. The process usually includes styleframes to be approved by the client followed by a delivery of animations to be placed over the footage. 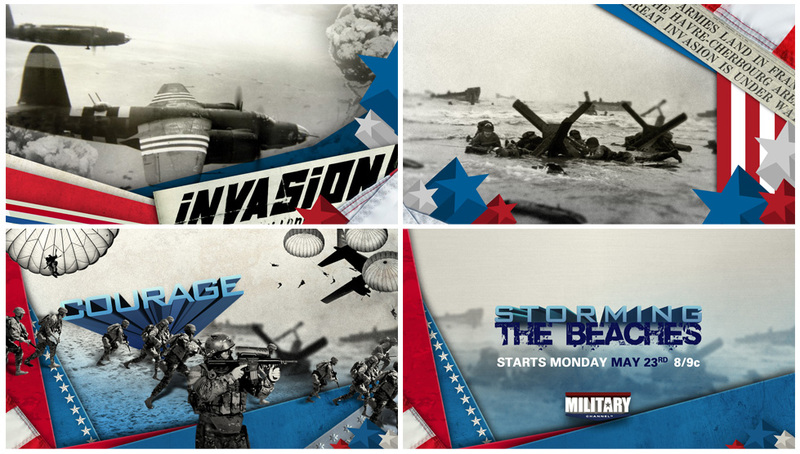 I was asked to create a graphics package for the Military Channel’s “Storming the Beaches” show. The work included title card transitions, lower thirds and a bug for the show’s logo. The look of the piece changed from the styleframes I initially pitched. 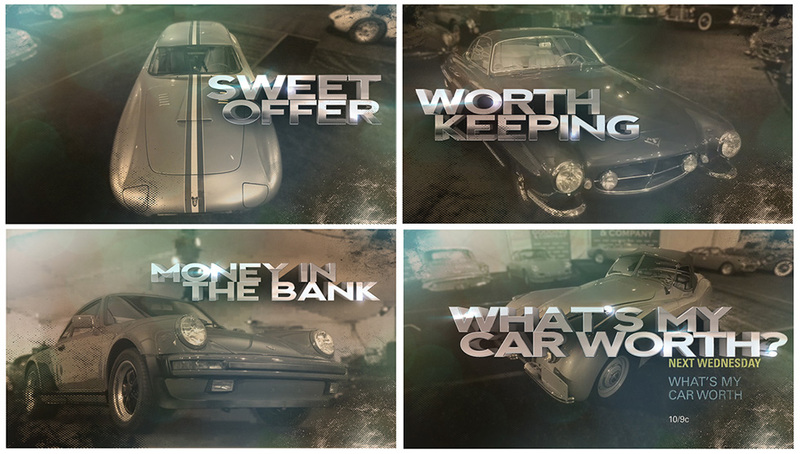 I was asked to create title cards and lighting effects overlays for the Discovery Channel’s “What’s My Car Worth?” show. 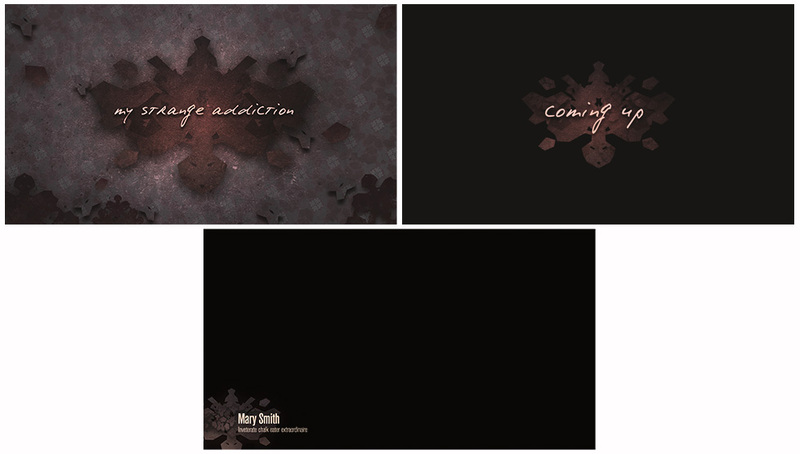 I was asked to help with a graphics pitch for the “My Strange Addiction” pilot show. The Creative Director wanted to mimic a Rorschach Test inkblot, but our initial pitch changed to this hard-edged look after incorporating client feedback.